The tech industry is full of acronyms. This makes for faster reading and dropping some abbreviations into a conversation does admittedly make you sound as a bit of a specialist who knows his stuff so we love using them. In our business we at WECREATE use technical lingo every day but we admit it can be confusing. UX Design and UI Design for example, two popular acronyms that are regularly dropped in meetings and discussions. 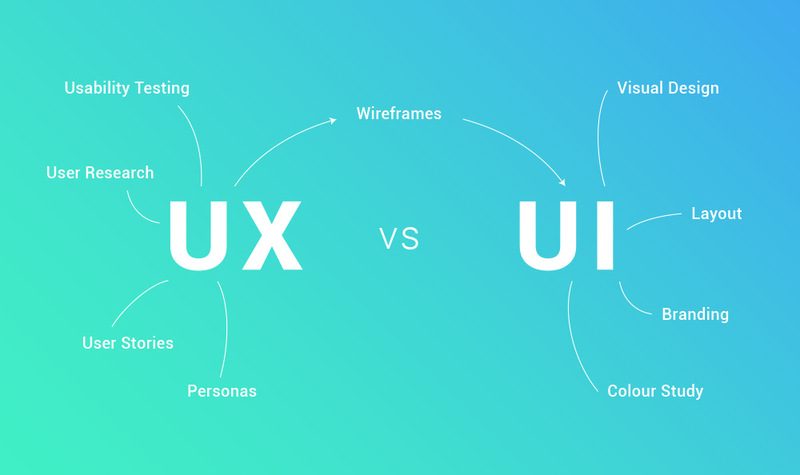 But is it really clear to everyone what these acronyms mean and what the difference between UX Design and UI Design is? They go hand in hand and the line of where one stops and the other begins can be blurry but there is a distinct difference. Here’s a clarification of which does what so you will really be able to show you know what you’re talking about. On a very basic level, it’s all in the name. User Experience and User Interface. User Experience Design is all about designing the navigation experience of the user. How does the product logically flow from one step to the next? How does the user access and use the information he is looking for? UX designers need to establish a great understanding of their target group’s behavior and in the design process personas are often created to work out user scenarios. Personas are fictional but represent a selection of real users and their behaviors. With this knowledge a framework or structure can be created that allows users to understand where they are and where the information they want is in relation to their current position. User Interface Design on the other hand ensures that the product visually communicates the path that a UX designer has laid out. 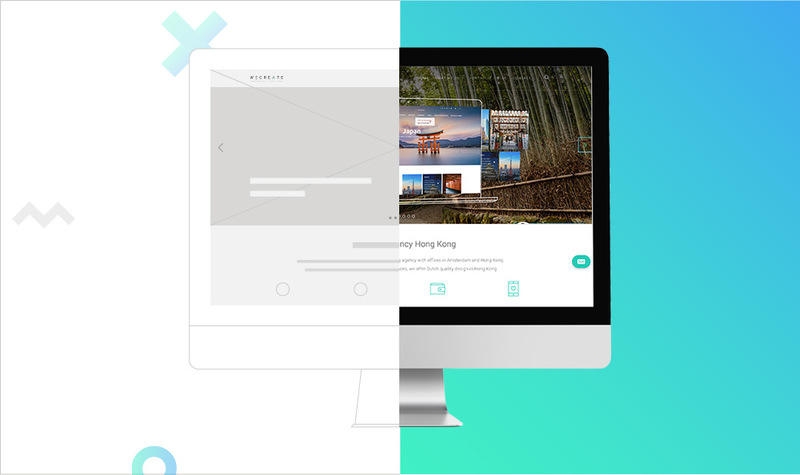 A UI designer carefully designs each page that the user interacts with. The focus of UI lies in the visual part of what you see on screen. It carefully deliberates on typography, colors, drop down menus, icons, checkboxes, types of buttons/sliders etc. Which options are most intuitive for the user? The questions ‘what is the user looking for’ and ‘how can we best guide his eye to finding the answer’ are key topics in designing an effective UI. The brand’s identity also plays a big role in UI design as the aim is for the user to recognize and experience the brand seamlessly in relation to all its other communication channels. A comprehensive style guide is therefore part of the User Interface creation. UX Design and UI Design are two elements of a single consumer experience. Both work very closely together and it is not uncommon for the two roles to be combined. But like bacon and eggs, sun and sea, Michelle and Barrack; the one is nothing without the other. Hopefully this basic explanation demystifies the confusion around these design terms just a little. WECREATE wants you to understand what we create. In need of UX or UI design help? Looking for a partner for your UX & UI Design needs? Feel free to give us a call today at+852 2555 7220 or send a message and our team will be happy to be of service.